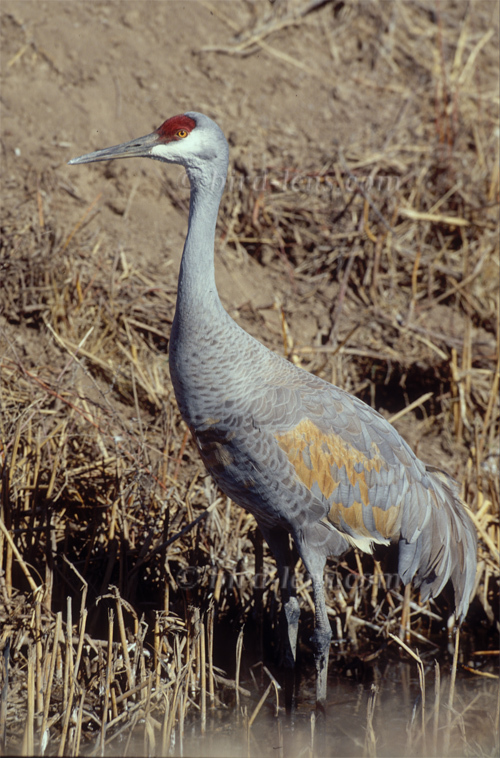 During the last days one Sandhill Crane (Grus canadensis) continues to stay at the Laguna Gallocanta in the south-western part of Aragon, Spain. This bird is obviously only the 3rd record for Spain since 2009 although there are more observations from the northern part of the Western Palearctic. The Sandhill Crane is present at least since last Sunday, February 24th 2013 but with wintering European Cranes (Grus grus) numbering 35,000 individuals now at the site and occasionally severe snowfall to find the bird in the crowd is a real challenge for the travelling twitchers, who arrived already in good numbers. Updates and pictures from the site of the twitch you see here. The Laguna de Gallocanta is one of the largest lakes in Spain – obviously the largest natural lake in Spain covering around 1,500 ha of open water within a total area of almost 7,000 ha. The lake is fed mainly by rainwater, giving rise to dramatic changes in water level from year to year. In wet years the lake can be vast while in dry years during the hot summers the lake dries out completely. As the lake is at an altitude of 1000 m there can be some very low temperatures in winter. The water of the lake is saline but freshwater springs allow for localized patches of reeds and reedmace. The lake is one of the most important bird sites in Spain. Common Cranes that breed in Fennoscandia and the Baltic states take the west European migration route to their wintering grounds. lt is supposed that the total number of birds migrating along this route is now in the order of 70,000, and most of these, some 50,000-60,000, winter mainly in Spain, with smaller numbers in Portugal. Thus the lagoon is the largest wintering area of the European/ Eurasian cranes. The number of cranes showed a maximum of 35,000 in recent years. The lagoon is subject to the Ramsar Convention since 1995 and is also a National Nature Reserve. 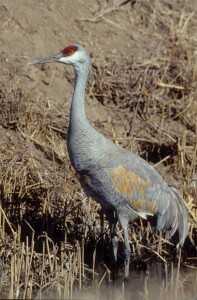 In his „Handbuch der Vögel Mitteleuropas“, Band 5 „Galliformes und Gruiformes “ Urs N. Glutz von Blotzheim does not mention the Sandhill Crane for Middle Europe.